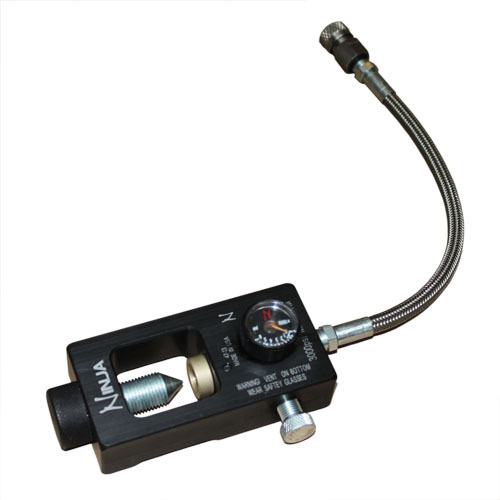 The Ninja PCP Airgun Fill Station is designed to be used with our PCP High Output Regulators that come with our smaller paintball style air cylinders. 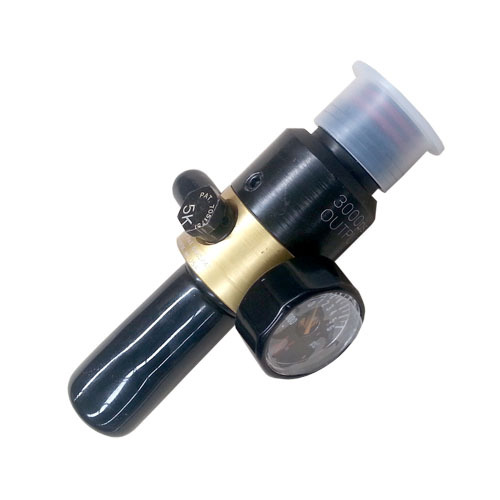 The fill station utilizes a proprietary longer pin in the on/off flow knob which will activate the exclusive ball valve in our regulator to release the air. 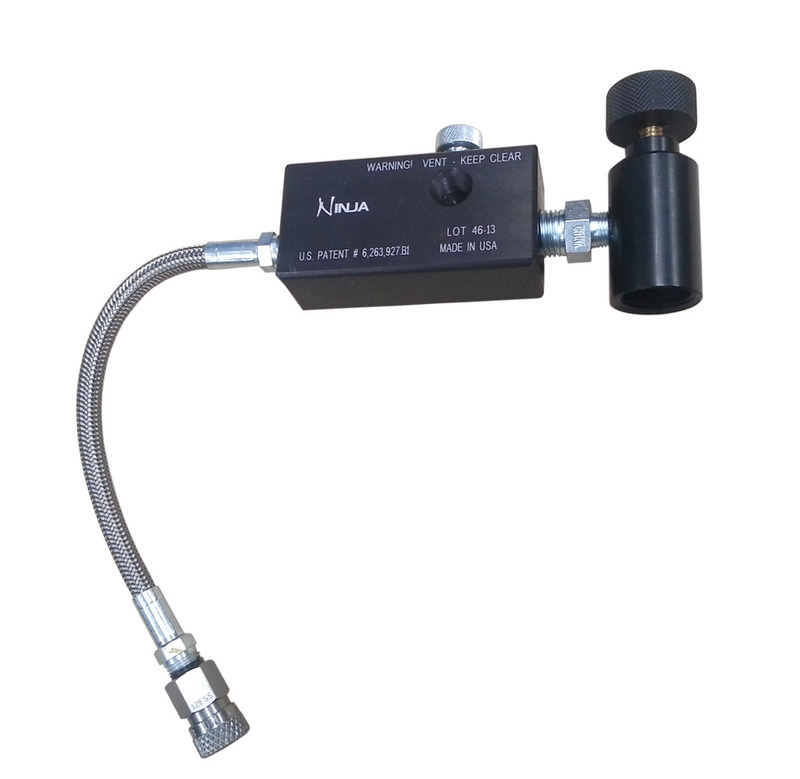 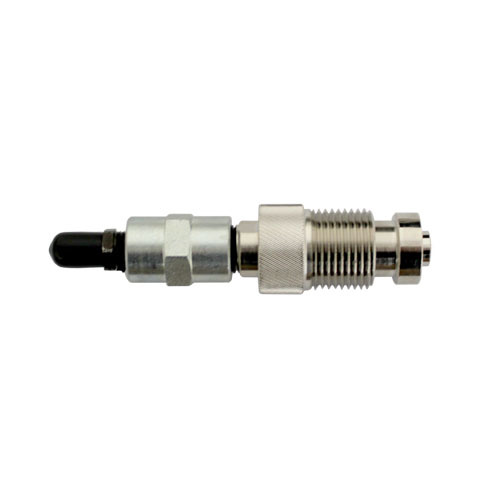 The fill station features the Ninja exclusive Foster 5000psi working pressure Stainless Steel Quick Disconnect, Steel Braided Hose and Bleed Valve. 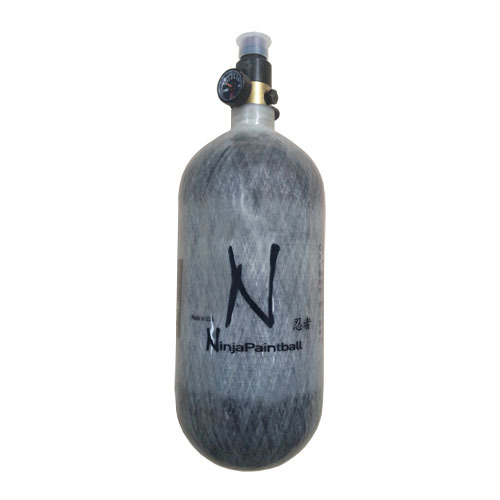 Designed to be used with tanks equipped with a 3000psi output Ninja regulator. 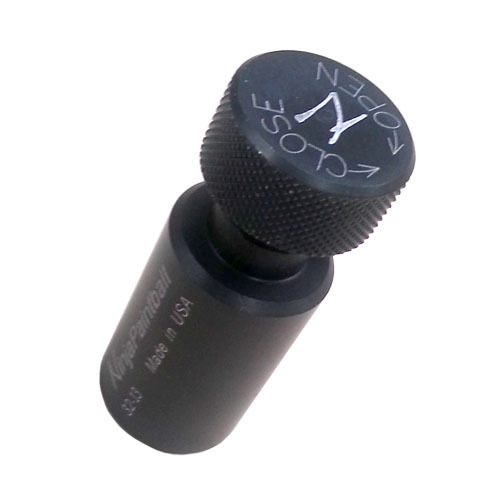 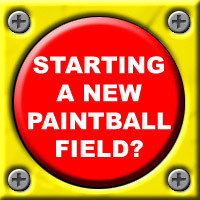 This is the long-pin version that works with the newest version of the Ninja PCP tanks.